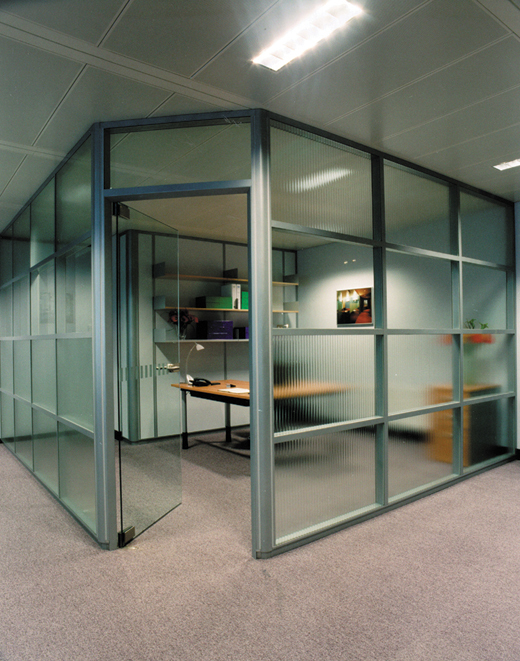 Partitioning Systems transform your works and office areas into safe and efficient working environments. 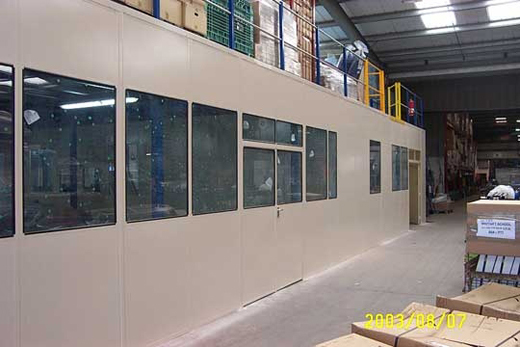 An ideal solution where a high quality, economical office partitioning system is required for manufacture and storage areas. 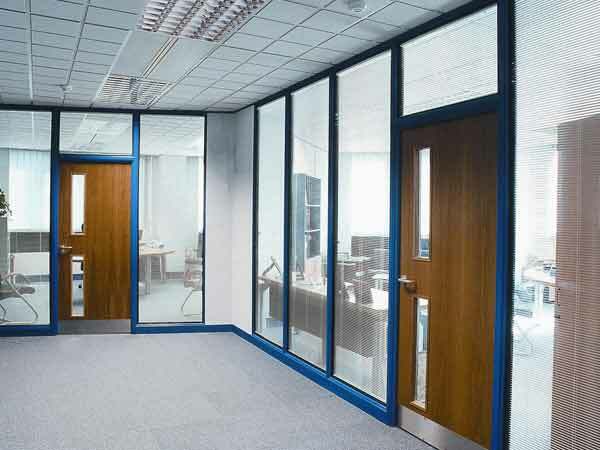 Alternative office partitioning systems for installations where a smooth internal finish is required, for example partitioning walls for work offices, clean rooms and storage areas for chemicals or food products. 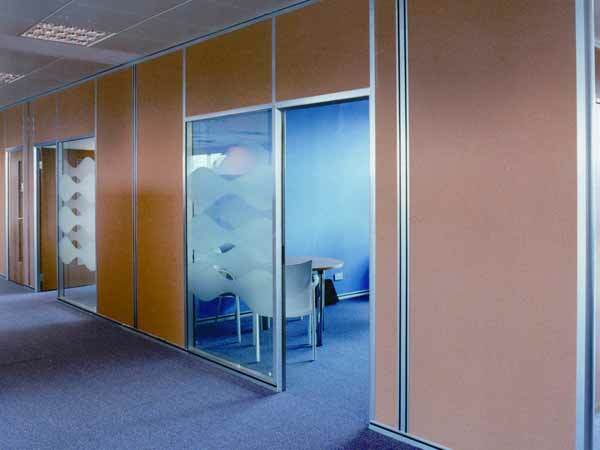 Intended to provide attractive and economical executive type partitioned offices with a double skin that is decorated with a vinyl wallpaper covering in a range of colours and finishes. 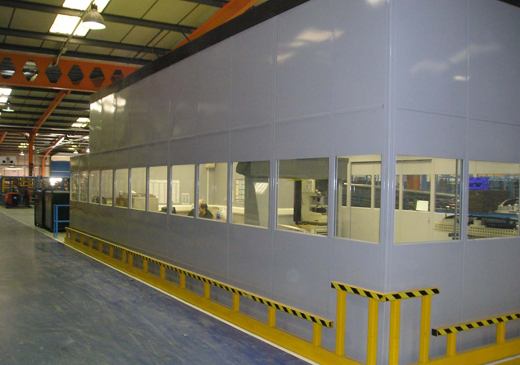 The system is quick and easy to install and is fully re-locatable. 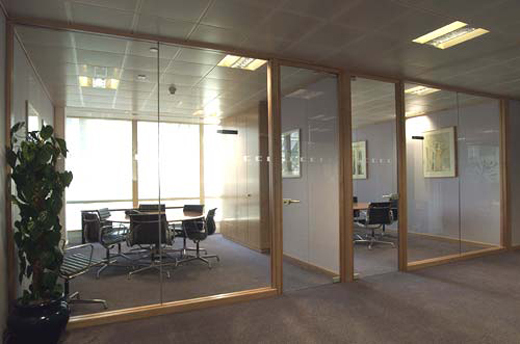 This type of office partitioning is intended where sound and heat insulation are considered a priority for your executive type offices. 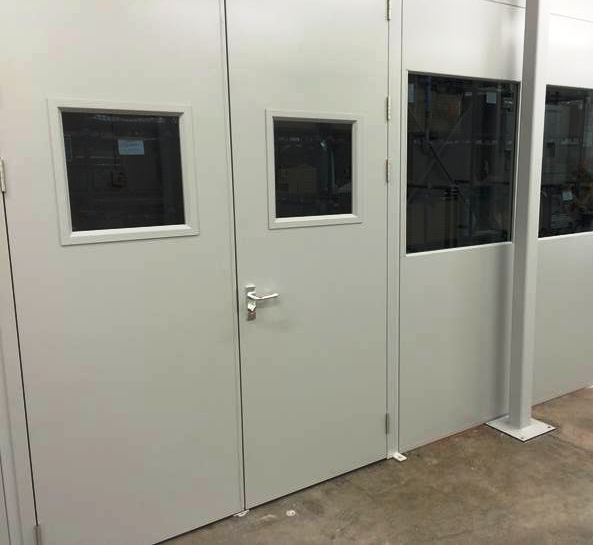 They can also be designed to provide fire protection where required to conform to building regulations and can be constructed in conjunction with fire rated glazed windows and veneered door sets. 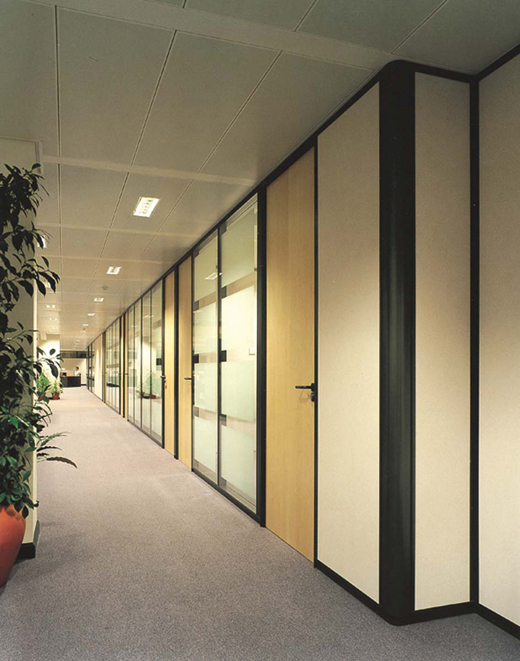 The solid panels can also be decorated with a vinyl wall covering. 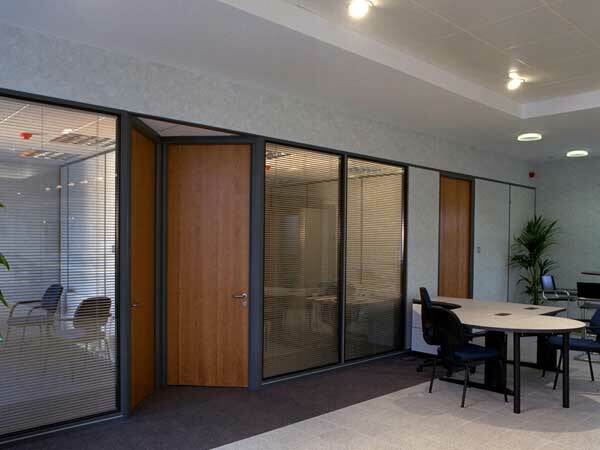 Office partitions can incorporate single and double glazing, internal or external blinds and a choice of door veneers including vision panel options. 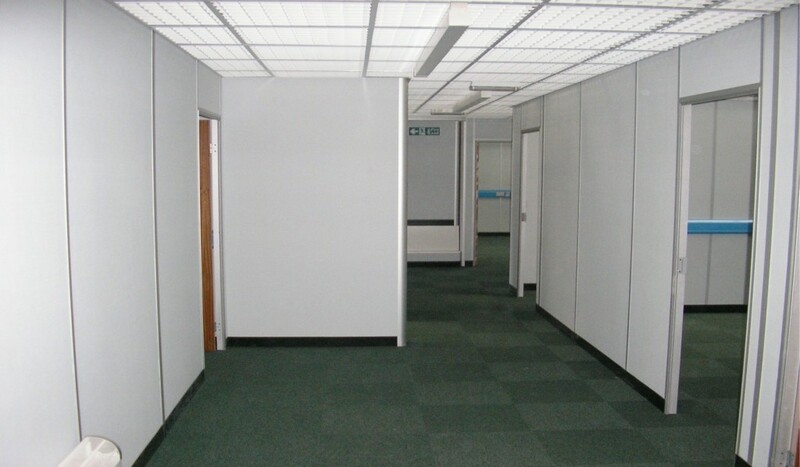 Suspended Ceilings can be incorporated into any office scheme, self supporting or hung from wires. 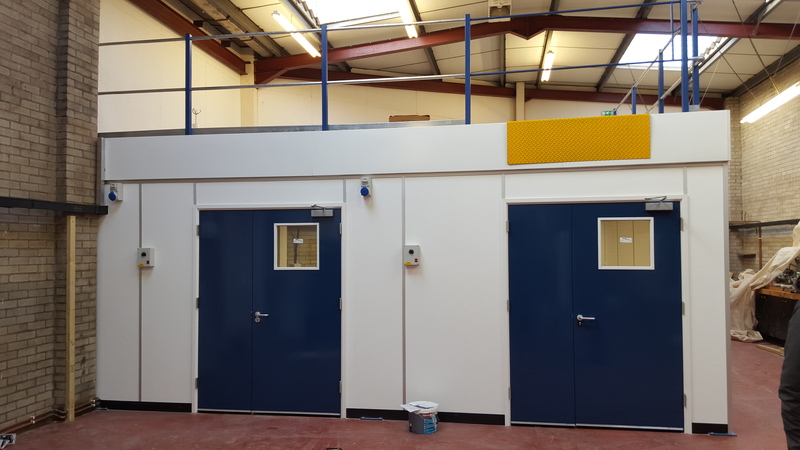 The system can also be hung on the underside of a mezzanine floor and be installed with lighting, air conditioning, and other systems to fully utilise the area beneath the mezzanine floor. 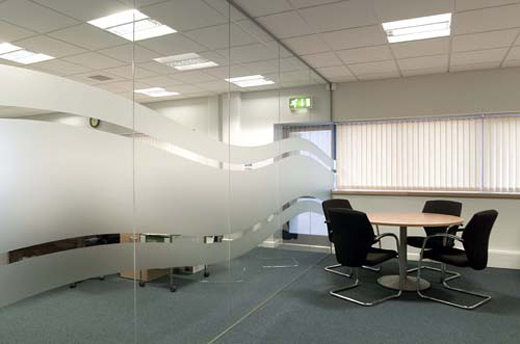 We can provide help and advice on fire rating , sound absorption and also aesthetics. Ideal when you need visibility and to allow light into the room. 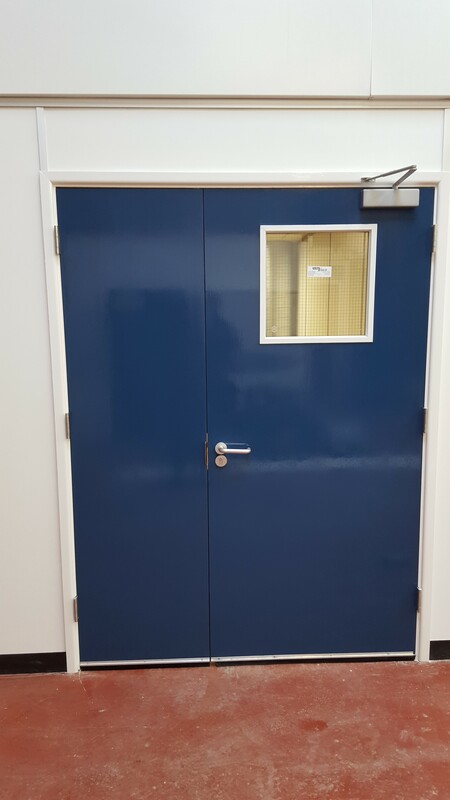 The glass can be frosted to match company logo/colour scheme and can also be double glazed with a blind fitted within the glass cavity. 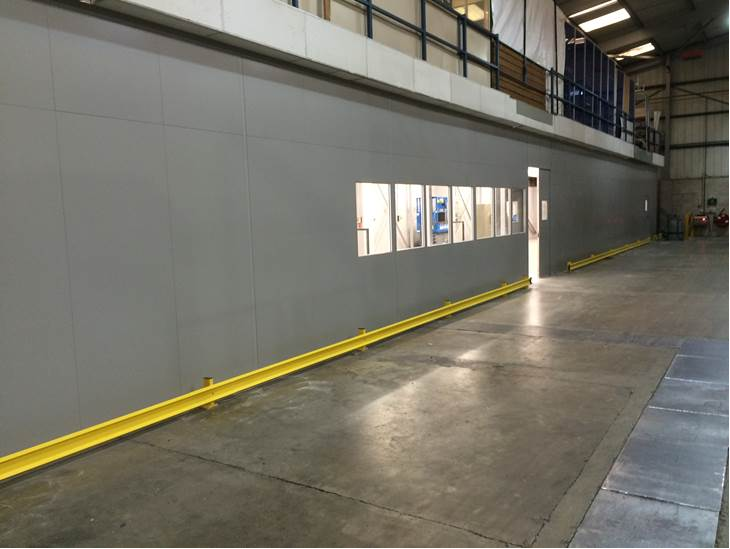 A full range is available - including Toilet Cubicles , Urinal Screens and Shower Areas . 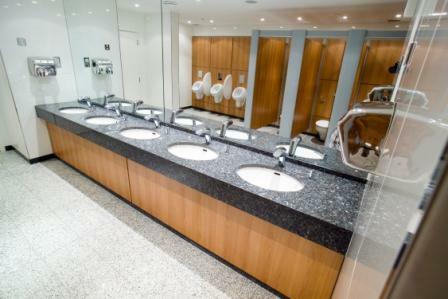 With various finishes to choose from you can quickly and easily provide additional washroom facilities.